Comments: The bushings look good and the truck drives great. Putting in the new bushings was easy. The instruction mentioning removing the inner sleeve of the rear spring eye is pretty vague. That was the hardest part of the job. If it wasnt for that I could have had the whole thing done in about an hour. Comments: Yes they were good , I just wish old ones come out as easy as those went in . Comments: Kit had everything needed to rebuild rear leaf springs. very impressed with the design of this kit. 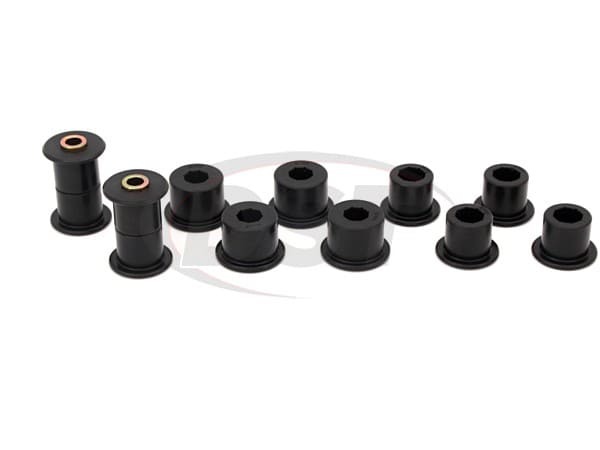 Would highly recommend this upgrade to anyone needing replacement spring bushings. thanks again. 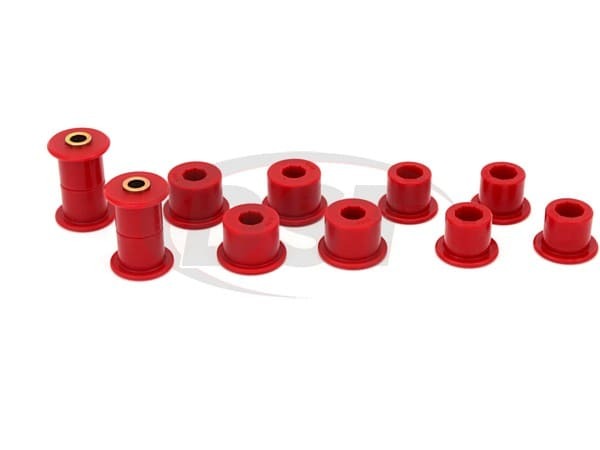 Comments: Very happy with my purchase of these bushings. Nice and tight after a year and no squeaks whatsoever. Comments: Truck rides stiffer. My son doesn't like to ride with me anymore unless he has to ....pick up from school. They say the rubber ones would be better. Comments: I highly recommend them, they are great parts that fit perfectly. I would only add a sheet that depicted which bushing went to which part of the suspension. 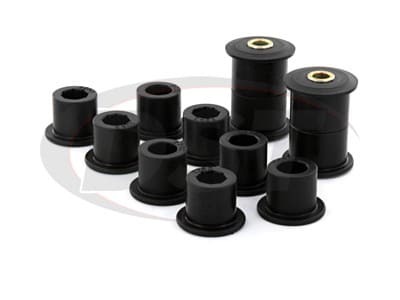 There are 2 sets of bushings that are very, very similar in size. It is crucial they are put in their proper place. I had to trial and error it, to find which went where. Still not a bad experience at all. Comments: The old ones were tough to take out, but the new ones went in a little easier with a little forcing. My truck rides totally different now. Well the old ones were wiped out. I like them and I would get them again. Thank you!